Following the brief appearance of Latias in Pokemon Go Raid Battles in February, the Legendary Pokemon Latios will appear in Raids later this month. From April 15 at 4 p.m. ET to April 22 at 4 p.m. ET, players will be able to challenge Latios in Raid Battles taking place at Pokemon Gyms near them. Raid battles (at least those featuring Legendary Pokemon) typically require multiple players to team up to take down the featured Pokemon together. 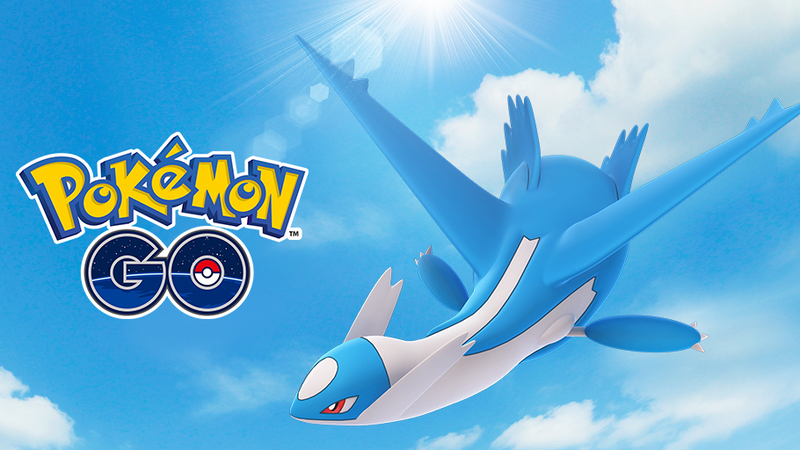 If players can successfully successfully defeat Latios in battle, they’ll have the chance to capture this awesome creature for their collection. Plus, there’s the chance the Latios they encounter will be Shiny! In the world of Pokemon, Latias and Latios are called the “Eon duo.” These Legendary Pokemon are part of the third generation of the Pokemon universe, first seen in Pokemon Ruby and Sapphire, which were released on Game Boy Advance in 2003 in North America. This isn’t the first time players have been able to challenge Latios in Raid battles. Both Latias and Latios were first introduced in Pokemon Go in April 2018. For advice on how to defeat Latios in battle, check out the Latios Raid Counters Guide on Pokemon Go Hub. Pokemon Go is gearing up for a huge year of worldwide events. Pokemon Go Fest events will take place in Chicago (June 13-16), Dortmund, Germany (July 4-7), and Asia this summer, and multiple Safari Zone events will be held in the second half of the year. Additional details about the Safari Zone events haven’t been revealed just yet. These events are in addition to the Pokemon Go Community Day events that take place each month. Following April’s Community Day event on April 13, the next four Community Day events will take place on May 19, June 8, July 21, and August 3.